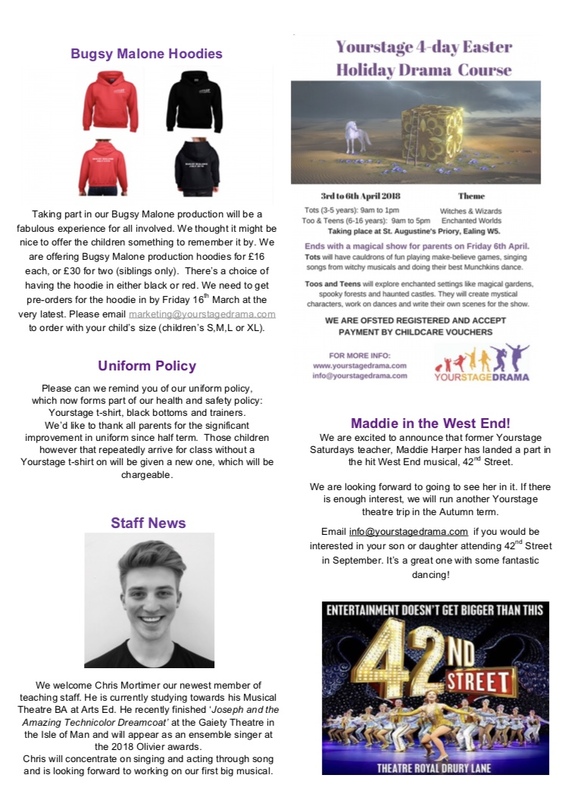 We recently announced that we are offering special production hoodies for our Bugsy Malone production. See the latest Yourstage newsletter for more details or email [email protected] if you have any questions. Yourstage is holding a 4-day theatre arts course at St. Augustine’s Priory, Ealing. It will run from Tuesday 3rd April to Friday 6th April 2018. 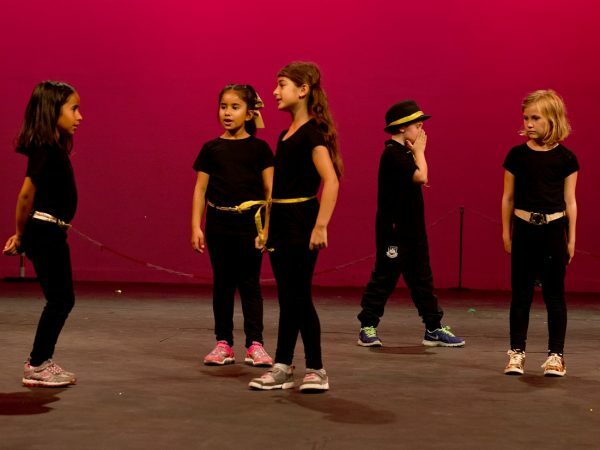 The course is split into two groups with Yourstage Tots (3 to 5-year olds) attending from 9 am to 1 pm each day. Older children (6-16 years) will attend full days, from 9am to 5pm, All children will perform in a show for families on the last day of the course. For more information, see our Courses page. 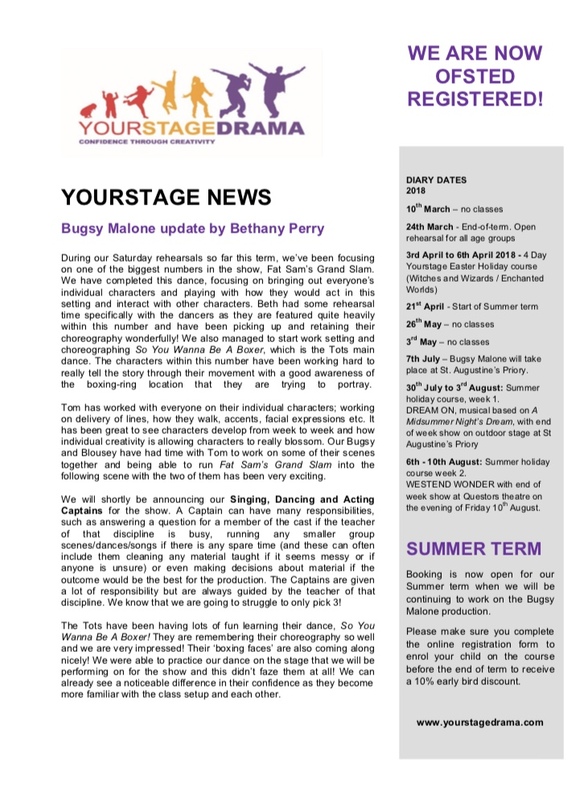 We’ve had a great term, so as well as reading more about the Easter holiday course, you can read an update on the Bugsy term so far by our Yourstage Saturdays teacher, Bethany Perry in our March newsletter.